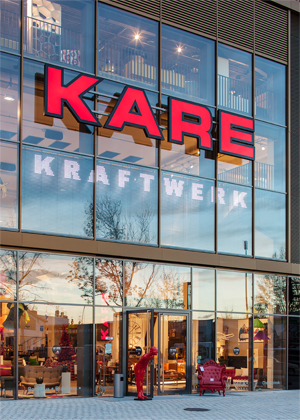 The international flagship store of KARE Design in a formal power plant in Munich, Drygalski-Allee 25! Come and see 10.000m² Design – Chairs and tables with a personality, sideboards, wardrobes and shelves with character, mirrors, decoration and gift ideas with charm; Here rules the philosophy inspiration – not convention. While the new window facades flood light into the industrial monument, enchant yourself by the KARE lifestyle inside. The KARE Kraftwerk is also open on Sundays. 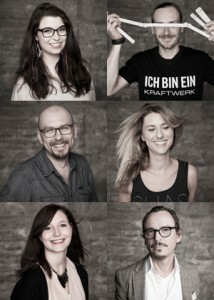 Get a close, relaxed look of our Kraftwerk at Sunday from 13:00 – 17:00. 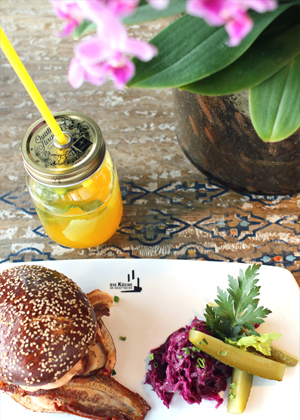 At the 4th Level at KARE Kraftwerk you get smart kitchen accessories and special ingredience! In the basement you get hot fashion from Stierblut and cool accessories and books. A perfect place to fullfill small dreams and find gifts. Furnishing style consultants, design-enthusiasts and service experts are looking forward to make your dreams come true. 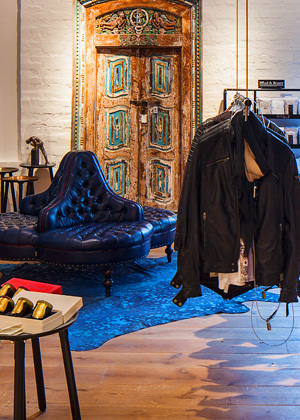 We are cosmopolitan and style conscious with a passion for individual furnishing. In 50 seconds through 10.000m² Design!